If you’re in the mood for a different take on roast chicken, here’s an idea: succulent chicken with gorgeously sweet slow-cooked apples and fragrant rosemary. I cooked this on medium for about 11 hours until the chicken was falling off the bone. 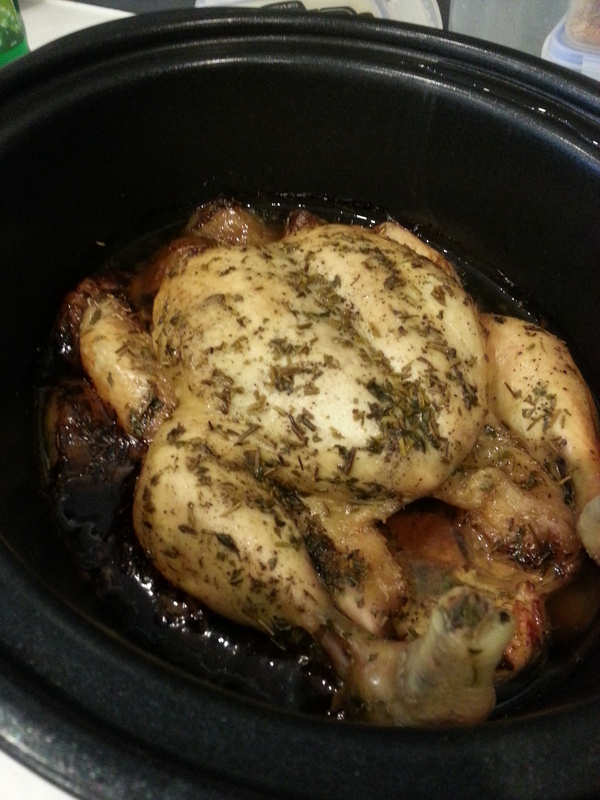 If you want a little colour on your chicken after it’s been in the slow cooker, just put it in the oven at around 240 C for 10-15 minutes until nicely browned. If you don’t have time to slow-cook it (or don’t have a slow cooker), you can always do this in the oven by roasting at around 180 C for 2 hours or so (depending on the size of the chicken).